Years ago, I had a conversation with a friend about the (then) recently released movie, Paranormal Activity. For those of you who don’t know, Paranormal Activity (definition of “paranormal activity” is: phenomena unexplained by normal experience) was produced along the lines of 1999’s hugely successful Blair Witch Project – filmed more in the genre of a documentary filled with raw footage. In other words, it’s hard to tell what’s fact—and what’s fake. The movie centers around a young couple who begin to try and find out what all the creepy stuff is that keeps happening in their home at night. Little does the guy know that the girl has dealt with this creepy stuff most of her life. The guy gets curious and sets up a video camera during the night to try and “catch a ghost in the act” of pulling some kind of prank—much like you see on popular shows like SyFy’s Ghost Hunters. But, things go from mischievous to nefarious very quickly as this dark entity becomes more and more hostile and possessive. 2 Corinthians 5 reminds us that “to be absent from the body is to be present with the Lord.” Jesus told the repentant thief, “Today, you shall be with Me in paradise.” Furthermore, in the only parable in Scripture that includes a proper name, Jesus describes the Rich Man in Luke 16 as going immediately to hell after he died, and Lazarus (not the “raised-from-the-dead Lazarus”) going immediately to heaven. In other words, the Bible consistently teaches there’s no “roaming around on earth period” between life & the after-life. The same thing that caused paranormal activity in the New Testament: demons. And they would love for believers to base their understanding of what demons can – and can’t – do on movies, documentaries, etc – anything but the Bible. That said, I will address this topic, but will not give Satan more “press” than he deserves. There are nine recorded stories of demonic possession in the New Testament with numerous other stories related to demonic activity. My point here is simply: according to God’s own Word, demons exist. And horror flicks can plant within a person a “spirit of fear” which, we know, is not from God (2 Timothy 1:7). Further (and Satan enjoys this immensely), even a believer, when gripped with fear, can begin to think Satan is more powerful than Christ. Indeed, Satan was helpless to prevent Jesus from uttering from the cross, “It is finished,” or preventing Christ from rising from the dead. 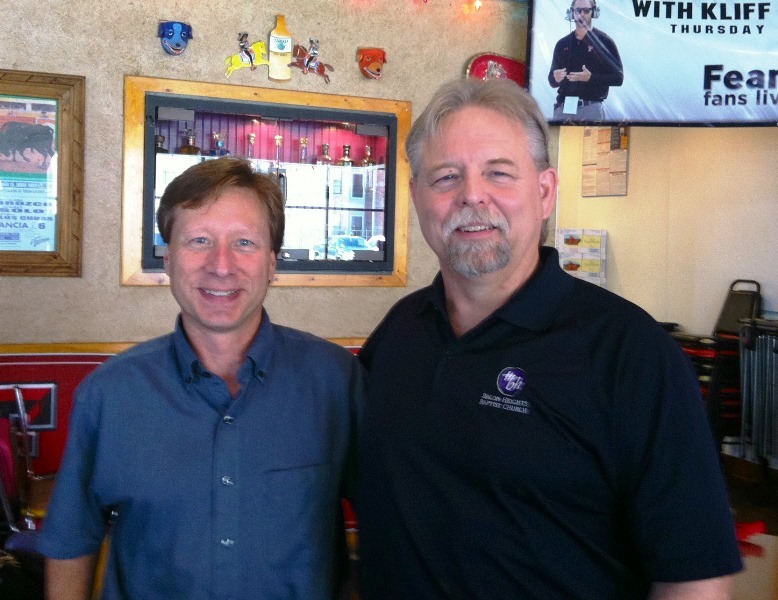 Our culture, although not necessarily Christian, is extremely spiritual. And the idea of talking with deceased loved ones is a hugely emotional topic. The Old Testament passages of Lev. 20:6, 27, and Deut. 18:10-12, are strongly worded commandments from God, leaving no doubt as to where He stands on people foolishly trying to communicate with the dead. Jesus tells a fascinating story in Luke 16:19-31 about a poor beggar named Lazarus (not the Lazarus Jesus raised from the dead), and an arrogant rich man. Both men die. Lazarus goes to heaven, while the rich man goes to hell. What Jesus makes perfectly clear is that (1) both men entered eternity (Lazarus in heaven, the rich man in hell) immediately after death. There was no “roaming around period” on earth as ghosts. And, (2) returning to earth was not an option. Former medium, Ralph Gasson, confesses that what he used to think was spirits of dead people was actually demons. This answers the obvious question, “If I’m not talking to my dead loved one, who am I talking to? ?” The biblical answer is simple: demons. The Bible tells us that demons are real. Satan’s chief talent is “deception,” demons have no problem impersonating the dead. Jesus called Satan “a liar and the father of lies.” (John 8:44) Entertaining any “word” from Satan’s minions will only help to convolute and confuse the truth of God’s Word, which was exactly the serpent’s strategy in Eden. The Bible actually includes a frightening story of people “messing with demons” in Acts 19. Some Jews – who had not professed their faith in Jesus – were envious of the power God had bestowed on the Apostle Paul to perform miracles. 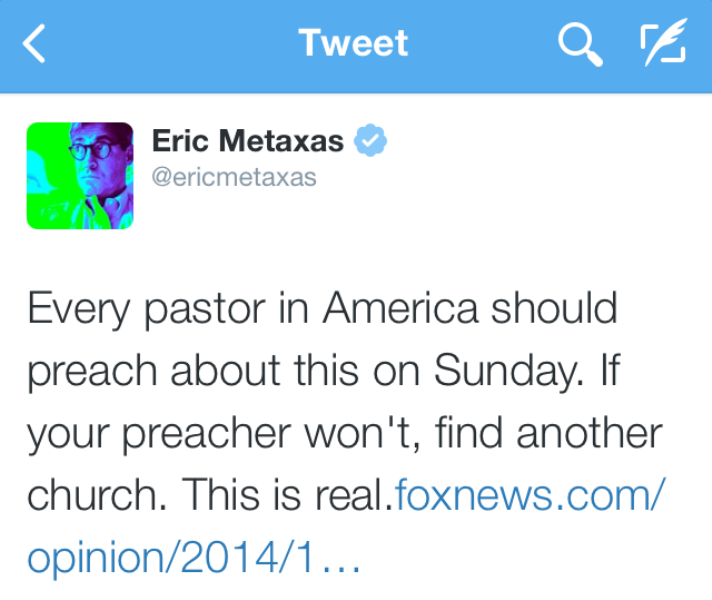 So….they decided to take on Satan’s kingdom in their own (Christ-less) power. That was a very bad decision. You can read the story here. So, like parting the Red Sea, a virgin giving birth, and a donkey talking, this is simply an isolated instance when God, in his sovereignty, did what He wanted to do to fulfill His purpose. Few people knew much, if anything, about Hunter “Patch” Adams before 1998. That’s when Universal Pictures cast Robin Williams in the lead role in a movie about Adams’ life. In his book, Adams never indicates that he’s a believer. Nonetheless, his story is universal: he had spent his life underestimating both the power and inherent need of one thing: love. Patch Adam’s miracle came at Halloween. As believers, our miracle came on a hillside outside Jerusalem on a cross, twenty centuries ago– a miracle resulting from supernatural love. Have you, due to anxiety, anger, bitterness and the like, forgotten just how much God loves you? Don’t allow satan to steal the abundant life Jesus died to give you. In 1973, Glenn Frey & Don Henley, of The Eagles, wrote their hit-song, Desperado, which concludes with this warning, “You better let somebody love you…..before it’s too late.” That’s good advice. Embrace the love of Jesus – His heart-pounding, infinitely compassionate love. In the title page to the Book of Mormon we find the following statement of faith: “Jesus is the Christ, the Eternal God.” That sounds biblical to me. So, do we, as Christians, believe the same things as Mormons in regard to our faith? No – not in the least. Before I point out just a few of the primary differences between Mormon Christianity and Biblical Christianity, I want to make certain you notice the following Mp3 link. Lynn Wilder is a former Mormon. After earning her doctorate in education she was hired as a professor at the LDS flagship university, Brigham Young (named after the LDS’ second prophet.) Below is a debate between Lynn Wilder, and Mormon apologist, Michael Flournoy. Hosted by Justin Brierley, this excellent debate covers the foundational differences between the Mormon and Christian faiths. The debate, lasting about 50 minutes (without breaks) is kind, respectful, and informative. The link to the Mp3 is immediately below. Wilder’s book, Unveiling Grace, is outstanding. You can access her website, Unveiling Mormonism, here. The average Mormon will cheerfully testify that “The Bible is the Word of God.” But, this statement carries with it a significant caveat. The LDS church has made it clear in their 13 Articles of Faith: “We believe the Bible to be the word of God as far as it is translated correctly; we also believe the Book of Mormon to be the word of God.” A couple of things immediately come to mind upon reading this statement. First, nowhere in the 66 books of the Canon of Scripture (our Bible) are we told there exists further revelation outside what’s written for us in the Bible. What we are told is that the Canon is closed. 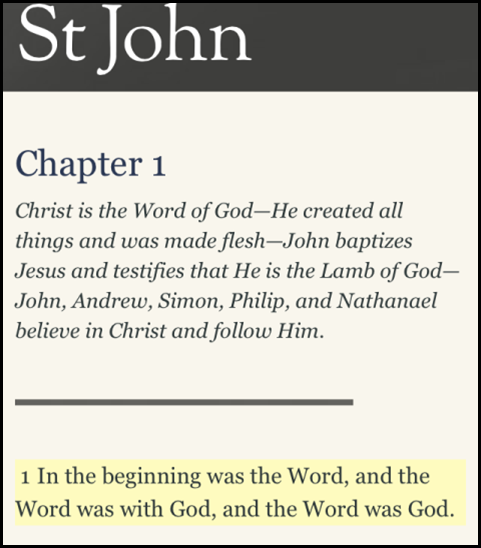 Jude, the half-brother of Jesus, wrote that the truth on which our faith is based was “once for all delivered to the saints.” On this passage in Jude, John MacArthur comments, “God’s revelation was delivered once, at the completion of Scripture, and is not to be edited by either deletion or addition (cf. Deut. 4:2, 12:32; Prov. 30:6; Rev. 22:18-19). Scripture is complete, sufficient, and finished. Therefore it is fixed for all time. Nothing is to be added to the body of the inspired word because nothing else is needed.” Mormon Christianity uses Isaiah 29:18 to support their extrabiblical authoritative literature. But, the passage in Isaiah not only doesn’t refer to anything resembling the Book of Mormon, it doesn’t even refer to a specific book at all. 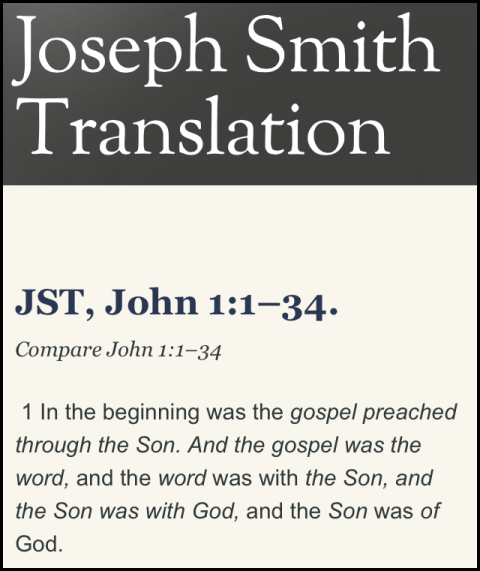 However, at the bottom of the LDS/KJV page, the LDS church includes a footnote directing the reader to the Joseph Smith Translation of the Bible which completely re-writes John 1:1. Why would they do that? So as to teach that Jesus is a “created being” – which is a clear Mormon doctrine. The LDS switches out the word λόγος/logos (translated “Word”), and replaces it with the Greek word, εὐαγγέλιον/euaggelion (translated “gospel”). The problem with this is that the Greek word for “gospel” does not exist in John 1:1. This goes well beyond irresponsible biblical translation. This is blatant manipulation of the text. And this is only one example. As I mentioned above, in the LDS 13 Articles of Mormon Faith, Article No. 8 states, “We believe the Bible to be the word of God as far as it is translated correctly; we also believe the Book of Mormon to be the word of God.” So, since according to founding prophet, Joseph Smith, the Book of Mormon trumps the Bible (coupled with the fact that the LDS church, itself, reserves the right to decide what is – and is not – translated correctly) they can – and do – modify and/or change whatever they deem necessary. When man, who is inherently corrupt and fallible, is given the freedom to manipulate the Bible, all bets are off. You may rightly ask, “What makes you so certain that your translation of the Bible is right, and the LDS translation is wrong?” Fair question. My response is that I tend to side with two millennia of Hebrew & Greek scholars (both, Christian and non-Christian) who appear to uniformly disagree with the LDS’ “correctly translated” version of the Bible. ** It should be noted that the only version given credibility by the LDS is the KJV. The KJV is not in any form the only reliable translation of the earliest manuscripts. Jesus and Paul did not speak in King James English. :)) (The original autographs – the actual gospels & letters written by the New Testament writers – do not exist. All responsible translations of the Bible use the earliest and most reliable extant manuscripts available to scholars.) Furthermore, the KJV, although revered and written in beautiful Shakespearean language, is written in vernacular that is 400 years old, making it very difficult for many Christians to understand. A desire to give people an accurate translation of the Bible that is easily readable is the very reason the New Testament was written in Greek – the predominantly widespread language of the day. Likewise, some 15 centuries later, Reformers held the same desire to make the Bible readable for all people. Martin Luther translated the Greek New Testament into German so the common people could read it. William Tyndale is famous for telling a Catholic priest (opposed to his efforts to translate the Bible into common language): “If God spare my life, ere many years I will cause a boy that driveth the plow shall know more of the Scripture than thou doest.” Why on earth would a priest not want the Bible to be more understandable? Because, the less the people know what the Bible actually says, the more control the religious leadership can hold over them. The entire Mormon doctrine of salvation is based on faith – and works. It’s true, they must believe the things they’re taught in the LDS church, but belief, alone, is not enough to place them in right standing with God. For instance, in the Mormon church, baptism is absolutely necessary for salvation. Using Acts 2:38, Mormon Christianity completely disregards the rest of the New Testament’s doctrine that teaches salvation is by faith alone. Acts 2:38 must be read within the context of John 3:3, 3:16, 14:6, 20:31; Acts 4:12; Romans 3:22, 4:3, 5:1, 10:9; Ephesians 2:8-9; Galatians 2:16, 3:11-4; 1 John 5:11-12, and a host of other passages that never mention baptism as required for salvation, but taken collectively, make it crystal clear that salvation is by faith alone. Baptism, Biblical Christianity teaches, is important to be certain, serving as a public profession of our faith in Christ – it is an outward expression of an inward change. However, as baptism serves as a testimony of our faith, Biblical Christianity teaches that it is not required for salvation. Biblical Christianity teaches that Jesus did all that was necessary to make our salvation possible. “It is finished,” Christ said from the cross. And, if there were any doubt as to whether or not salvation required anything other than faith, Paul wrote, “For by grace you have been saved through faith. And this is not your own doing; it is the gift of God, not a result of works, so that no one may boast.“ (Ephesians 2:8-9) To suggest that any human effort – even baptism – is necessary for salvation nullifies the cross of Christ, lessening the meaning of Christ’s death, rendering his propitiation/expiation/atonement insufficient. In the LDS church, “works” are required for salvation. In Biblical Christianity, “works” are evidence of salvation. Mormons tend to point to James’ letter (James was the half-brother of Jesus) which places great emphasis on works i.e. “Faith without works is useless.” (2:20) However, as with any biblical verse or passage, the book of James must be interpreted within the context of the remaining 65 books of the Bible. John Calvin said, “Scripture interprets Scripture.” In other words, a single verse, passage or book of the Bible must be interpreted in light of what Paul calls “the whole counsel of God.” (Acts 20:27) If all we had was James’ letter, the Mormon Church would most certainly have a case for their argument. But we have 65 other books of the Bible, 26 of those standing along side James’ letter in the New Testament. And it’s within the greater context – this “whole counsel of God” – that we see James’ intent: to emphasize the point that, if we are truly saved, there should be evidence for our salvation in the everyday life we live. Again (I restate this because it is central to Biblical Christianity), the moment we determine that salvation is “faith in Christ plus something” we nullify Christ’s work on the cross, purporting by our beliefs that Christ’s sacrifice is no longer sufficient since salvation now requires human effort. This is diametrically opposed to the Biblical Gospel and, thus, vastly different from Biblical Christianity. Perhaps the most overt example of how Mormon Christianity differentiates itself from Biblical Christianity is found in what the LDS church calls “temple worthiness.” According to Mormon Christianity, even after professing their faith in Jesus and being baptized, there is still much to be done in order to be seen worthy in God’s eyes. The structure of the local Mormon Temple is beautiful. I was able to tour one shortly before it opened. However, the teaching supporting the Temple is grossly contrary to Biblical Christianity. The Bible tells us that, because of the sufficient sacrifice of Christ, we are no longer separated from God. “But now in Christ Jesus you who once were far off have been brought near by the blood of Christ.” (Ephesians 2:13) This is precisely why the author of Hebrews wrote that those who’ve professed their faith in Christ can approach God with boldness and confidence. We have nothing to fear. We have nothing to hide. When Christ died, the veil of the Old Testament temple that separated the Most Holy Place (Holy of Holies) from the common man was torn in two, top to bottom, signifying that there is now no separation between God and man. This is due solely to the sufficient sacrifice of Christ Jesus. “Religion” by definition is “man’s pursuit of God” i.e. mankind working his/her way to heaven. This sounds much like Mormon Christianity. Biblical Christianity, however, is not a “religion”, but a “relationship” with a holy God made possible by Jesus Christ. Christianity is “God’s pursuit of man” i.e. God did all that was necessary…Jesus is enough. **Baptism for the Dead: This prevalent Mormon doctrine is taken from a single verse in Paul’s first letter to the Corinthian believers. Once again, John MacArthur: “This difficult verse has numerous possible interpretations. Other Scripture passages, however, clarify certain things that it does not say. It does not teach, for example, that a dead person can be saved by another person’s being baptized on his/her behalf, because baptism never has a part in a person’s salvation in the first place.” As discussed earlier, “Scripture interprets Scripture.” This is called “systematic theology” i.e. interpreting the Bible in light of itself. This discipline is vital to understanding the Bible, as well as preventing people/churches from developing entire doctrines (such as “baptism for the the dead”) using a single, isolated, out-of-context verse or passage. In C.S. Lewis’ genius work, The Screwtape Letters, Uncle Screwtape counsels his novice, apprentice demon, Wormwood: “It is funny how mortals always picture us as putting things into their minds; in reality our best work is done by keeping things out.” What Satan hopes to keep out of the human mind is truth: the Word of God (the Bible). Translation: Know. Your. Bible. As you familiarize yourself with the real thing, you will be better equipped to spot a counterfeit. The enemy, as you well know, is slick and clever, including just enough truth to make his claims sound valid. 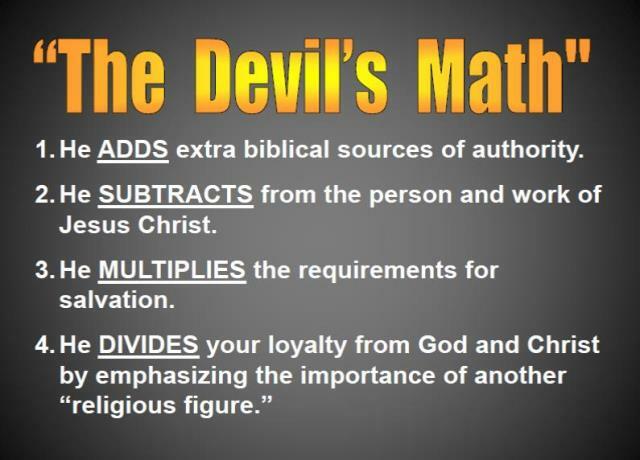 But, upon a little closer investigation, we find what’s always been true: “a half truth is still a whole lie.” The following photo is an easy-to-remember representation of “The Devil’s Math” when comparing different religious faiths to Biblical Christianity. Certainly, there is so much more to discuss. One former Mormon told me, “I personally felt trapped by all the rules set up within Membership that are not defined to those simply investigating the Mormon faith.” Addressing those “rules” would belabor my point here which is to simply submit that Mormon Christianity and Biblical Christianity are different. Discussed here, in brief, are only a few major differences between Mormon Christianity and Biblical Christianity. There are a myriad of other differences. For instance, Heaven: the LDS church teaches there are three heavens – which level of heaven in which you end up is based on the sum of your good works; the Bible teaches there is one heaven – you end up there because of a single decision to profess your faith in Jesus Christ (just like the thief on the cross.) Hell: The LDS church does not teach there is a hell (although they do teach that apostates – those who have abandoned the Mormon Church – are destined for Outer Darkness). The Bible not only teaches the doctrine of hell – Jesus talked more about hell than He did about heaven. In addition, Biblical Christianity does not teach that one who abandons the Christian Church is doomed to hell. Jesus taught that people doom themselves to hell. This is a result of those who have denied Him, not an institution. Prophets: The LDS church teaches that God still speaks through a chosen prophet i.e. a “spokesperson for God.” The current prophet and President of The Church of Jesus Christ of Latter-day Saints is Thomas S. Monson. The Bible, however, teaches that “Long ago, at many times and in many ways, God spoke to our fathers by the prophets, but in these last days he has spoken to us by his Son,…” (Hebrews 1:1-2) In addition, the New Testament teaches the doctrine of the “Priesthood of the Believer,” which means every single person who has professed their faith in Christ has equally direct access to God, made possible by the ultimate Prophet/Priest/King, Jesus Christ i.e. among God’s children there are no “have’s” and “have-not’s”. In short, because of Christ’s all-sufficient work on the cross, there is now no longer need for a person to mediate between God and mankind. Jesus, alone, holds that position as our Prophet/Priest/King. A person who has professed their faith in Christ has just as much access to God as Billy Graham today, or the Apostle Paul of yesterday. STLL INTERESTED IN KNOWING MORE? 2. Visit with a Mormon. Or, better yet, talk to a Mormon Missionary – that’s what I did. I discovered that, just like among Biblical Christians, there can be a great deal of disagreement over basic LDS doctrine among Mormons. (I cannot overemphasize this point enough – ask 10 different Mormons their opinion about “grace” and you could well get 10 different answers.) However, the Mormon Missionaries know their stuff. Very well. 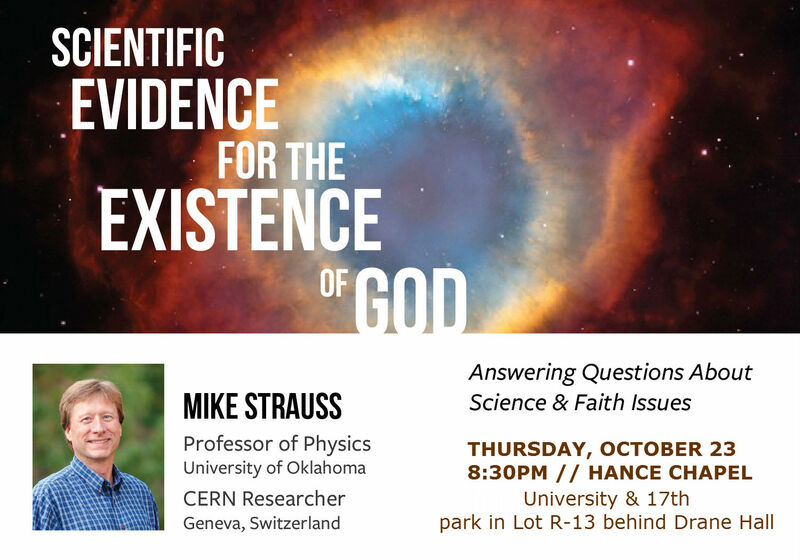 Every answer they give will be precisely in line with official Mormon doctrine. They’re kind, and a delight to visit with. 3. In sum, to quote our BHBC Youth Pastor, Don Baldwin: “Pray, Love, Live.” (1) Pray for wisdom. The Holy Spirit promises to “guide you into all truth.” And pray for opportunities to engage in intelligent dialogue with people from other faiths. (2) Love people – Jesus said, “By this all will know that you follow Me, if you love one another.” Your goal is not to “win an argument”, but to represent the love of Jesus. (3) Finally, since ‘actions speak louder than words,’ make certain you live out your life in such a way as to give credibility to the gospel you preach.